After a rough start to the season, the Rams have come out with back to back victories in the past two weeks. St. Louis beat up on a Houston team that seems to be in shambles, notching their best performance of the season, a 38-13 win at Reliant Stadium last week. 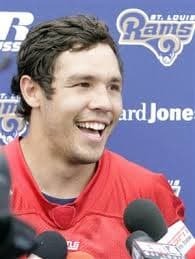 Sam Bradford, the top overall pick in 2010 is one of the big reasons for the Rams turnaround over the past two games. After struggling out of the gate, Bradford has posted a 121.6 passing rating over the past two games and thrown six touchdowns and no interceptions. The Rams commitment to the running game is likely helping Bradford make throws downfield, rookie Zac Stacy has taken the lead job in the backfield and been impressive. Stacy was injured slightly in the win but has practiced most of the week and should get close to 20 touches Sunday. Otherwise, the Rams are pretty much injury-free. Cam Newton and the Panthers also look to finally be on track as they hope to turn their season around following a 0-3 start. Since then, Carolina has won two straight games, including a 35-10 beat down at Minnesota last week. Newton had his best day of the season last week, throwing for 242 yards and three touchdowns on 20 of 26 passing attempts. He also rushed for 30 yards and a score. Greg Olson was in a walking boot earlier in the week but will still suit up Sunday, but one of Newton’s top targets won’t be at 100 percent. Running back Jonathan Stewart will not make his return from the PUP list this week with the rushing load still squarely on DeAngelo Williams shoulders. Opened at Carolina -6.5 and has stayed around that number with some books also posting -6 and -7 with varying juice. The total opened at 42 and has not moved at most sportsbooks. Both of these teams were impressive last week, but it is hard not to love Carolina’s matchup on paper. The Rams struggle against the run and the Panthers run game is their bread and butter. Cam Newton could easily have a season high in rushing yards this Sunday, not to mention the damage DeAngelo Williams’ will do against the Rams’ defensive front. Carolina’s pass rush has also been much better in recent weeks, and Bradford is easily rattled under pressure. The Panthers offense has the ability to get St. Louis into catch-up mode rather quickly if their run game takes off, and I can’t see any reason why that won’t happen. It is tough to love Carolina too much because they are such a Jekyll and Hyde type of team, but this is their best matchup all season long. The playbook and personnel changes the Rams have made over the past few weeks have improved their team, but I don’t think it will be enough. Lay the points with the Panthers -6 at home with Bovada.lv. Both of these teams are seeking to gain another win in their attempt to reach the playoffs before the midway point in the season. This inter-conference affair features Bengals heading to Ford Field to take on the Lions. Both teams sport a 4-2 record on the season. Cincinnati got their first road win of the season at Buffalo last week but gave up a surprising number of points to the Bills and blew a late fourth quarter lead, but still rallied to win in overtime. Andy Dalton woke up from his seemingly season-long slump, throwing for 337 yards and three touchdowns in the 27-24 win. Despite their hiccups, last week, the Bengals defense has been the reason they have won so many games this year. They are top 10 against both the pass and the run and have one of the best pass rushes in the league. Detroit’s season looks to be shaping up well, which is critical for a team that has to show their current cast is enough to compete for a championship. Quarterback Matthew Stafford picked apart Cleveland’s strong defense in a 31-17 win last week at FirstEnergy Stadium, this was despite a hobbled Calvin Johnson. Rookie Joseph Fauria, an undrafted rookie tight end scored three touchdowns in this game and Reggie Bush added over 100 yards from scrimmage and a score, as well. Defensively, Detroit has been better than expected, and while they do give up plenty of yardage to opposing offenses, they stiffen down at the red zone, and are a classic “bend but not break” defense. They also create a large number of turnovers and have been positive or even on turnover margin in each of their 6 games so far. The only serious injury question for Detroit is the availability of wide out Calvin Johnson. Johnson played about half the snaps in last week’s game and pulled in just three passes for 25 yards. He looks to be better this week, but it isn’t likely “Megatron” will be 100 percent. Game opened at Detroit -2.5 and is still hanging there for the most part. The total also has not moved much from the opener of 47. 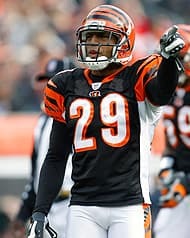 I’m still not buying into the Bengals as legit contenders in the AFC even though they may still win the AFC North when it is all said and done. Dalton is ineffective, and one decent game is not going to make me change my opinion of him as a passer. This team will never get the next level with him behind center. The Bengals run game is solid, but I don’t think it will be enough to score enough points against Detroit’s ball hawking defense, especially because the Lions will be able to score. If there’s anywhere to attack the Bengals defense, it is the secondary and Detroit has the personnel to do just that, even without Calvin Johnson at full health. Reggie Bush is a nightmare for most opposing defenses, and while he won’t likely have success running the football against a tough defensive front, he will be utilized heavily in the passing game. The Lions score by throwing the football and I think they will put up big points against Cincinnati. Lay the points with the Lions -2.5 at home betting with Bovada.lv. The Dolphins will play their first game of AFC East action after an extended non-conference schedule to start the season as they host the Buffalo Bills. Even though they suffered an overtime loss last week against Cincinnati, the Bills surprised bettors last week. Thad Lewis made a start for the injured E.J. Manuel throwing two fourth quarter touchdowns in the loss. Making Lewis’ game more impressive, the Bills were without starting top wide receiver Stevie Johnson. Buffalo’s defense has been a sore spot all season long and rank near the bottom of the league in total defense and against the pass. Their defense is still suffering from a number of injuries. However, they do boast a potent pass rush led by defensive end Mario Williams who already has 8 sacks on the young season. Thad Lewis had a mild foot injury in the win but will start Sunday. It looks as if Stevie Johnson will be back, as well. Miami’s 3-2 record is probably better than most thought they would be at this point in the season. The Dolphins are coming off a bye week and have dropped their two games in a row after opening with a 3-0 start. To be fair, their losses came against the Baltimore Ravens and New Orleans Saints. The Ravens loss was the last before the bye, a close game, with Baltimore winning 26-23. The game opened at Miami -7 and moved to -8 quickly after the game opened. The total has moved slightly off the opening number of 42 to 42.5. While the Bills impressed last week against the Bengals, I think it was more of an indictment on the Bengals defense than Buffalo being adapt on offense. Miami is an excellent team and one that is outclasses the Bills at nearly every position. I realize Tannehill’s sack count is historically high, and the Bills have a potent pass rush, but I can’t see Miami coming out of the bye ill-prepared. The Bills secondary is terrible even and is giving up massive yardage numbers threw the air. Their run defense isn’t anything to write home about either. All this defense has is a strong pass rush. The Dolphins will put up points, and the Bills will struggle to score all afternoon. Lay the points with the Fins -8 at home with TopBet.eu. After a big win on Monday Night Football by San Diego against the Colts, the Chargers will head to Jacksonville to take on the winless Jaguars as they attempt to go over .500 for the first time this season. San Diego’s Monday Night win at home wasn’t a typical shootout like most victories but they got the job done. The defense was key in the 19-9 victory as they held the Colts to just three field goals all night. Rivers was effective but threw just one touchdown to rookie receiver Keenan Allen who has been a tremendous surprise for San Diego this season. Jacksonville managed to keep their Week 6 loss to the Broncos respectable but still fell against Denver to push their record to 0-6. Chad Henne finished with 303 yards in the win and second year wide out Justin Blackmon put on a show, catching 14 balls for 190 yards. Other than Blackmon there haven’t been too many other bright spots. Running back Maurice Jones-Drew continues to struggle and has not rushed for more than 73 yards in a game this season. The Jags defense is giving up over 33 points per game. Cecil Shorts isn’t likely to suit up Sunday, so Henne will be throwing a lot of ball Justin Blackmon’s way. Tight end Mercedes Lewis will likely be back this week this, which helps offset the loss a little. Opened at Jaguars +9 and has moved to +7.5 just about everywhere. The total opened at 45 and is now also listed at 45.5 almost across the board. Points should be flowing in this game as two pass first offenses meet up against two poor defenses. Although San Diego is coming off a short week, and on the road, two things that have doomed them in years past – I still like them to win big. The Jaguars gave everything they had in last week’s loss to the Broncos and still gave up 35 points while gassing themselves by running all over the field to stop Peyton Manning. They are going to be worn out this week and shorthanded due to injury. Phillip Rivers and the San Diego offense should have a field day picking apart this defense, and I would not be shocked if they put up their best numbers all year. The over might be worth a play in this one as well, but I’m sticking with just San Diego. Roll with the Chargers -7.5 on the road while betting at Bovada.lv. The Buccaneers look to change their fortunes with a trip to visit the Georgia Dome in an NFC South matchup of the bottom feeders in the division. Still winless, the Buccaneers have been mired in controversy all season long. 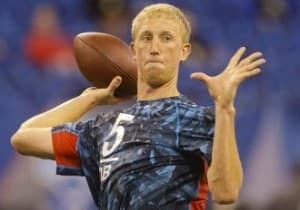 They cut quarterback Josh Freeman two weeks ago and are going with rookie Mike Glennon. Glennon has been admirable in two starts, throwing for 273 yards and two touchdowns in Tampa’s Week 6 loss to Philadelphia, 31-20. The Buccaneers are dealing with a number of injuries, including a staph infection that has infected several in the locker rom. Guard Carl Nicks was forced to have surgery on his foot and kicker Lawrence Tynes is still out suffering from the infection. Receiver Mike Williams should return this week to play alongside Vincent Jackson, upgrading the Bucs rather dismal passing attack. Like the Bucs, the Falcons are suffering from some injuries, but their situation is a lot worse. All-Pro wide out Julio Jones is out for the season, and Roddy White is unlucky to play, as well. This leaves quarterback Matt Ryan with a rather unknown receiving core, potentially led by Harry Douglas. Atlanta is coming off their bye in Week 7 with their last loss coming at the hands of the New York Jets, 30-28. It was the Falcons third straight loss after starting the season at 1-1 and dropped them to 1-4 on the year. Jason Snelling suffered a concussion in that game but is expected to play in Sunday’s game. Steven Jackson will still remain sidelined after straining him hamstring all the way back in Week 3. This game opened with the Falcons -7 and hasn’t moved off that number. The total has moved up slightly from the opening number of 42 to 43 at most sportsbooks. Atlanta sure does not look like a good football team, and they certainly are not, but I still think they are better than this Buccaneers squad. Glennon having success against the Eagles defense is essentially meaningless in my mind because they are pretty much the worse defense in the league. While Atlanta’s defense isn’t great, I think Glennon will be overmatched in this game feel the pressure of the fans the Georgia Dome. Remember, Atlanta was a Super Bowl contender in most peoples’ minds before the season started. That is no longer the case, but they still could end being a .500 team. There is little reason to believe this Tampa team is going to have any success against the Falcons. They have proven nothing and are barely serviceable from an offensive standpoint. Lay the points with the Dirty Birds -7 at home. The NFC North vs. NFC East matchup will be on full display in a critical game as the Bears head to DC and FedEx Field take on the Redskins. After starting the season off 3-0, the Bears dropped two straight games before winning against the Giants last week, 27-21. Jay Cutler threw two touchdowns in the victory and so far has had his best start since he donned the orange and black. With a solid run game and short passing game led by Matt Forte, the Bears have a balanced attack that is hard to deal with for opposing defenses. Tight end Martellus Bennett was limited in practice this week but is expected to start. D.J. Williams will be out for the rest of the season with a torn pectoral muscle. Rookie Jon Bostic takes over at middle linebacker. The Redskins have unquestionably underperformed this season. After making the playoffs last season, Washington is off to a 1-4 start. Their defense has been horrible this year and has not improved much as the weeks go on, but to be fair, they have faced several high-powered offenses in the first few weeks. The Raiders were their lone win, and they held them to just 14 points. Last week, they lost 31-16 at Dallas despite nearly outgaining the Cowboys by 200 yards. The Redskins are fourth in the NFL in total yard with 399.5 yards per game, but have turned the ball over way too much and haven’t been able to stop their opponents. Opened at pk and some books have the Redskins as -1 point favorites, but most still have the game at pk. The total opened at 51 but is now listed at 50 at most sportsbooks. While this seems like a great matchup for the Bears on paper, I’m not sure that will be the case. Chicago might be one of the most overrated teams in the NFL at this point, and though they are 4-2, they came darned close losing two more games, including final minute and final second wins against Minnesota and Cincinnati. Washington has looked better in recent weeks and will have the benefit of their home crowd in a must-win game. If Robert Griffin III can stop turning the ball over and they get a little help from their defense, I could easily see the Redskins pulling out a victory. Despite the difference in record, these teams are not as far apart as they look talent wise. I like the Redskins pk at home available at Bovada.lv. The Jets will have likely have to win against New England to have a chance at winning an AFC East title or a playoff berth. In the first meeting of the season, the Pats head to the Meadowlands to take on Rex Ryan’s Jets. At 5-1, New England is in terrific shape from a record standpoint, but they are far from the dominant team we have seen the past few years. Winning low-scoring grind it out games has seemed to become commonplace for New England this season as they have struggled to put up the monster offensive numbers we are used to seeing. Still, the Pats rallied late against the New Orleans Saints last week. Tom Brady engineered a late game winning drive to put the Patriots up 30-27 via a Kenbrell Thompkins touchdown pass with just five seconds left to play. New England has had loads of injury trouble so far this season, and they received move unwelcome news last week. Stand out linebacker Jerod Mayo will miss the rest of the season with a torn pectoral muscle. Danny Amendola, who as previously missed time at receiver will be out this week with a concussion. Cornerback Aquib Talib is also not expected to play. Tight end Rob Gronkowski is 50/50 to make his season debut this Sunday. The Jets have had an up and down season but have clearly exceeded expectations so far. At 3-3, they are still much in the fight for the AFC East crown. Last week, they fell to Pittsburgh at Heinz Field where they could not get much going in 19-6 losing effort. Young quarterback Geno Smith has played well, but the defense has been the bread and butter for the Jets. They are ranked fourth in yards allowed with just over 300 per game and second in rushing defense. Game opened with the Jets at +3.5 and has moved to +4 at all shops with some having the game at +4.5. The total has not moved off the opening number of 43.5. To me this is a perfect spot to play the Jets. Also, +4 is rather generous considering how close these games have been over the years. The Jets are excellent defensively and Geno Smith can lead an offense and is a dual threat quarterback. New England’s defense continues to get weaker each week, and their offense will struggle to score points against the Jets. Tom Brady can’t do it all himself, and though his heroics against New Orleans salvaged a win for the Pats, he will not get a weak secondary to pick on when facing off against the Jets. The Jets may not be a playoff team, but they are certainly in that discussion. I think they can pull off an upset in this game. Take the points with the New York Jets +4 at home best priced at TopBet.eu. The much maligned NFC East is far from a dominant division, but someone has to come out of the pack eventually and assert themselves, right? Well, maybe. Either way, this Cowboys/Eagles tilt is a massive game for both teams. Nick Foles will make his second start for the injured Michael Vick as rumors of a quarterback controversy fill the air in Philly. Foles could steal the job with a strong performance against the Cowboys in this game, after his three touchdown, 296 yard torching of the Buccaneers last week. A game the Eagles won 31-20. The offense has not been the problem for the Eagles, but rather their porous defense. The Eagles secondary is horrible, and their run stopping isn’t much better. They ranked second to last in the league in opposing passing yards allowed with 314.5 games. The Cowboys also at 3-3, got their third win in a 31-16 win against Washington at Cowboys Stadium last week. The victory was a good sign for the Cowboys defense who has struggled all year long against the pass, and actually ranks right next to the Eagles in some categories. Running back DeMarco Murray will almost certainly sit this week after spraining his MCL in the win against Washington last week. Joseph Randle will be the workhorse back this week and will be supported by fourth string running back, Phillip Tanner. Opened at Philly -1 and has moved to -2.5 just about everywhere. Some books have the game at -3, but most have not moved to the key number. The total, the largest of the week opened at 56.5 but has moved down to 54-55 range. I do think Nick Foles is more talented than Vick, but I think the Cowboys have the edge in this one. The Eagles defense is criminally negligent, and Tony Romo should be able to pick them apart at will. Dallas is almost as terrible, but they have improved in recent weeks and I think their ability to put up points is more of a certainty in this game. Foles is still learning, and while he will have McCoy to lean on in the run game, he doesn’t have much else around him besides DeSean Jackson in the passing game. This is a game the Cowboys need to win show their legitimacy. I think they pull off the victory. I like the Cowboys +2.5 on the road. I got the best price at TopBet.eu. While the 49ers are getting their season back on track, the Titans seem to be letting there’s slip away. San Francisco will be going for their fourth win in on the road as they head to LP Field. After struggling out of the gate, the Niners have finally found their groove. Colin Kaepernick has thrown for five touchdowns in the past three games and just one interception and played great in a 32-20 against Arizona last week. “Kaep” has finally found his favorite target in Vernon Davis, who notched a career high in receiving yards this week with 180 and also scored two touchdowns. The opposite has been true for the Titans. Tennessee started the season 3-0 before dropping their last three games. Last week they fell to the Seahawks at Seattle, 20-13. Their slide has coincided with an injury to starting quarterback Jake Locker, who will again be out this week. Backup Ryan Fitzpatrick has been terrible in relief, throwing four interceptions and just one touchdown in two starts since Locker’s injury. He also hasn’t had much support in the running game. Chris Johnson has struggled all season long and has only gained 50 yards rushing in the past two games. Shonn Green will be back this week and perhaps he can help jumpstart the Titans run game, the backup to CJ2k looks to get 15-20 carries. This contest opened at Tennessee +5 and has moved down to +4 at the vast majority of books. The total has stayed at the opening number of 40 for the most part. I don’t genuinely feel too enthusiastic about either side in this game, but the total may be worth playing due to the chance of poor weather on game day. The Titans defense is underrated but nevertheless matches up poorly with run-first offenses like San Francisco’s. I can’t imagine Fitzpatrick having much success against San Francisco either, but there is something fishy about this game. For me, it is a no play. However, I think the under 40 does have some value. These teams will run a lot on a normal sunny day and will do so even more with a large downpour. Red zone struggles have also plagued both teams throughout the year, so here’s to hoping for a lot of settling for field goals in the red zone. I like the Under 40 available at TopBet.eu. Kansas City look to notch win number seven as they host the Texans this Sunday. The undefeated Chiefs have been the league’s biggest surprise this season after compiling a 2-14 record last year. It is not flashy, but the Chiefs are playing solid football in all phases. Alex Smith leads an efficient anti-turnover based offense that is rather dull, but one that utilizes one of the best running backs in the league in Jamal Charles and short passes to chew up clock and wear opponents down. This worked again to perfection in a 24-7 win against Oakland last week. The defense has also been excellent. Boasting an impressive pass rush and top five sack totals, the Chiefs’ defensive squad also leads the league in scoring defense, allowing just under 11 points per game. Billed as Super Bowl contenders to start the season, the Texans desperately need a win this week to have any chance of making the playoffs. Rookie Case Keenum will get the start with Matt Schaub injured and to be fair, he will not likely be worse than the injured starter. Schaub and backup T.J. Yates have been terrible in limited action this season and I understand Gary Kubiak’s decision in going with Keenum. Houston was beaten soundly at Reliant Stadium when the Rams came to town last week, 38-13. The performance was terrible in all phases of the game, perhaps the lone bright spot being Arian Foster’s big game. The defense continues to play poorly, which was one of the Texans biggest strengths coming into the season. This line has moved quite a bit from the opening number of Kansas City -5. The line is -6.5 everywhere and is pushing -7 at some books. The total has stayed put at 40. I actually like the Texans in this spot for a number of reasons. Firstly, I still think the Chiefs are overrated despite their undefeated record. Secondly, Keenum will be making his first start ever, and that can cause problems for some teams as there is no film to review, at least not NFL game film. Keenum’s athleticism may be exactly what the Texans need to stay out of the way of the dreaded KC pass rush. If Houston’s defense can key in on Jamal Charles and at least contain him somewhat – this game could be closer than most think. J.J. Watt has yet to go off this year from his defensive end spot, and this may be the game he gives Alex Smith nightmares. This game means so much to Houston. A loss would effectively put them out of the playoff picture. Cleveland heads into Lambeau Field after a beating at the hands of Detroit this weekend, losing the game 31-17. Before the loss, Cleveland rattled off two straight wins and will face a tough matchup against Rodgers this weekend. Brandon Weeden will get the nod for the foreseeable future for the Browns after Brian Hoyer was lost for the season with a torn MCL. While many might not see it as a considerable drop-off, I find the change rather significant. Weeden did throw for 292 yards and two TDs but threw one of the worst interceptions I have ever seen. Furthermore, the Browns don’t have much of a run game, so it puts even more pressure on the second year signal caller. Now at 3-2, the Packers gutted out a win against the Ravens last week in a game that was a slugfest. Rodgers connected with just one touchdown pass on the day to Jordy Nelson and the rest of the Packers points came from Mason Crosby field goals in the 19-17 win. However, the Pack lost two key players to injuries last week. Top wideouts James Jones and Randall Cobb will both be sidelined this week and likely beyond. Cobb broke his leg and will be out until at least Week 15. Jones hopes to return next week. Opened at Packers -11 and has come down -10 at just about every US sportsbook. The total opened at 45 and has moved to 46 and 46.5. As much as I hate Brandon Weeden’s game, I think the Browns keep this game rather close. I also think the total is a bit off in this one. Aaron Rodgers is the best QB in the NFL but even he will have trouble without two of his top targets. This leaves Jarrett Boykin to start alongside Jordy Nelson as Rodgers primary targets. Jermichael Finley will also likely get more balls, but the loss of Cobb and Jones is devastating. Also, let’s not forget that the Browns do have a decent defense, especially in the secondary. Cornerback Joe Haden will likely match up with Cobb and limit his effectiveness. The Browns just have to run the ball and throw to Josh Gordon, and they should be able to keep this close until the final quarter. Gordon is a playmaker that can’t be covered by anyone in Green Bay’s secondary and is in for a big game. Weeden just can’t lose this one by turning the ball over. I like the Browns +10.5 on the road with Bovada.lv. This first meeting of these two AFC North Rivals kicks off this weekend as the Ravens travel to Heinz Field to face the Steelers. The Super Bowl Champs have started their season off with a bit of a hangover. The Ravens loss to the Packers last week was a tough one to lose, but Baltimore just could not make the plays needed get the victory. Flacco has been turnover prone to start the season but did not throw a pick in the loss. A reason for the Ravens struggles may reside in the run game or lack thereof. Baltimore’s ground game currently ranks 27th in the NFL, and neither Ray Rice or backup Bernard Pierce has seemed to be able to get it going. Pittsburgh finally got their first win last week, a 19-6 beating of the Jets at Heinz Field. It looks like the bye week rest did some good for Pittsburgh. They will need to put together another impressive effort to walk away with a win against Baltimore on Sunday. While the defense has been more than solid this year, the offense is where the problems arise for Pittsburgh. They rank among the bottom five in rushing yards per game and have an offensive line in shambles. The return of Heath Miller was immediately felt, and Pittsburgh hopes his blocking, as well as his receiving ability will be a substantial upgrade for this offense. The game opened at Pittsburgh -1 and has stayed at that number for the most part. The total has moved slightly off the opening number of 40. These games are so hard fought and close it so hard to pick a winner when the game could easily come down to one or two plays. The lack of a run game for Baltimore could be an issue for the Ravens as Pittsburgh’s stout run defense will likely force the Ravens to gain yards through the air. Pittsburgh’s secondary is still excellent, and with Flacco’s turnover issues as of late, the Ravens offense could be in for a long day. However, the same thing could be said for the Steelers offense against a tough Ravens defense. Overall, I give the Steelers a slight edge due to being at home and the game being a heated rivalry. Also, a Pittsburgh loss would almost make it mathematically impossible to make the playoffs, and even though the players deep down know they are likely going nowhere this season – they won’t want to lose this one. Lay the points with Pittsburgh -1 at home at Bovada.lv.